hosting 6 ScareAttractions each with a select theme. Be it the incarceration of AshHell Penitentiary,the dark traditions of The Hunted,the psychotic world of Twisted, the evil truth behind The Pie Factory, the sealed fate of Dungeon or the sickly rejuvenating Stilton Hall Hotel and HellSpa experience.. The mazes are well thought out and superbly themed and if your looking for a full experience this October then look no further than Twinlakes Park's Xtreme Scream Park. Now for a little info to each maze with no spoilers ofcourse..
1610 cannibalism had become acceptable human behaviour inside Ash Hell Penitentiary, victims were bought from flesh markets and secretly smuggled in to feed the primitive inmates, the disposal of bones was a problem…..The flesh eating Duke began extending his empire and built Cell Block C, burying the butchered human bones in the walls……. Every night in October a privileged few residents are selected and hooded, taken into the countryside by the riders of the night (The Huntsman) and their Hounds to participate in this sacred ancestral ritual called “The Hunted”………Are you lucky enough to be chosen for The Hunted? dare to enter. Your pain is now their pleasure, a chaotic masterpiece of crooked clowns, the finest around, the show of your lifetime, a one show wonder….. Roll up Roll up my lovelies come inside deeper deeper deeper…..Now let’s Play, we promise not to bite, a lot! Melton Mowbray’s Pie Factory locally sources only the best, prime cuts of meat to produce 100% Manmade Pies,Do you dare and come to the Pie Factory and see how they are made,Mrs Momma Hog though has been changing the ingredients in the pies recently be careful,you succulent creature you might be next! Left in the dark walls of the Dungeon to waste away, they had no hope only fear, nothing but time to spare, time to plan, time to pray, time to trade with the Devil himself. Revenge and bitterness took over the deluded minds of the "forgotten women"
There is no hope, they are watching you, through the darkness, there is nowhere to hide. They will take your soul just as theirs were taken. We will take you and make you beautiful with memorable treatments to die for, designed uniquely for every individual, change is perfection, perfection is change – beauty is in the eye of the Master – he will redesign you, transform you, there is nothing more pleasurable than pain, beautiful sweet pain, we are all beautiful….. Your body is ours…….what is your desire? and it is within that final maze that you shall find myself or should I say...Cedric DeMort, My very first year as a scareactor and I can't wait to get stuck in. then i have to say farewell to Cedric DeMort.. this Saturday -Sunday and Monday are the last chances to book treatments with the Psychopath of Stilton Hall..
Well 2017 Season is on the build and I can happily tell you that Xtreme Scream has 2 new offerings replacing to other attraction. And as we say goodbye to The Hunted after a 2 year run we now have The Village, Set to be Xtreme Scream Parks scariest yet which I myself am acting in this year. 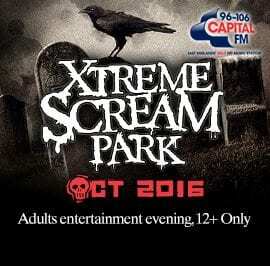 Xtreme Scream also isnt just Mazes, There is bands, Live Entertainment and Bonfires to heighten the mood. All further information can be found in the link below. Sounds amazing. Wish I could there to experience this. I hope you have a great time acting too. Throughout the land there has been an increase of farmland pests threatening the crops. In order to sustain the human race, an agency backed Professor Crow, granting him large sums of money in order to create genetically modified scarecrows to effectively deal with the problem. These crows were to be designed with the ability to scare off any unwanted visitors. The scarecrows intelligence rapidly increased, no longer content with containment in their fields and so they turned their attention to the humans. In order to control his creations, bending them to his will to perform the merciless deeds, Professor Crow embodies the figure of a crow through his clothing, mannerisms and actions. The perfect scarecrows will obey his command and revere him as a God like figure – their creator. Only when dressed accordingly do the perfect Scarecrows recognise Professor Crow as their master, any resemblance to a human would be his downfall. Sacrifices will be made to appease the God. Although I do work for Xtreme Scream, The Village is an AMAZING attraction, Check Shaun Sanbrookes review if you don't believe me, It is a 20 minute experience of scarecrow devastation over 5 buildings and 2 outdoor sections ! Shaun even said at the time of coming through it was the best scare maze he had ever done, So will you be coming to the church of the Dark Reverend Bloodhusk for the annual harvest festival?! In complete honesty, he’s said that about every scare attraction he’s been through this year. But luckily those in the know have been raving about The Village and just how stunning it is. If I was closer I would so visit. I went to Xtreme Scream Park for the first time ever the other day and had a great time. Stand Outs were definitely The Village, Stilton Hall Hotel and Ash Hell. Pie Factory was pretty weak as was the clowns thing but as I understand it these are leftover from when the event was run by another company? The quality difference between these and the others was pretty evident. HooDoo VooDoo was a lot of fun, definitely one of the better hooded mazes. I'd love to see this with the lights on as it seemed to have a rather complicated route and a lot of fun effects. Ash Hell Penitentiary was very intense, it was ruined slightly by the group we were batched with but it's certainly up there with the best mazes in the country. 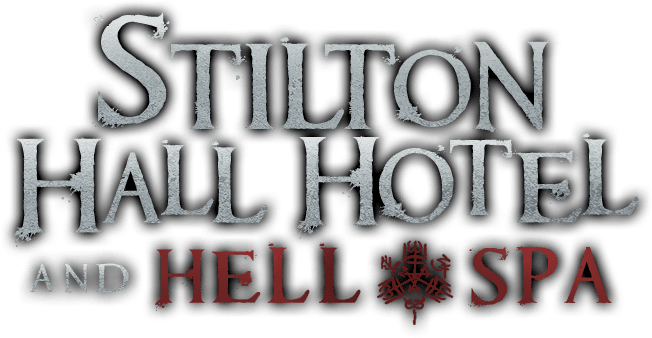 Stilton Hall Hotel was amazing, brilliantly themed, incredibly long with a lot of jump scares interspersed with some humour "I'm the hotel perv!". It's nice to see something a little different that's not a traditional scaremaze theme. The Village was insane, lots of long drawn out sections building up tension and then that finale. I won't spoil it for anyone but I'll just say this is probably the scare attraction of the year. Overall the event was much much better than I anticipated, the mazes are largely high quality and use some unique effects not often seen elsewhere. I have a few issues with the batching as we often met up with other groups leading to long conga lines through the mazes. The inability to buy more maze tickets is also irritating as on the night we went the mazes had no queue for the last hour and had the option been available we would have purchased another run through of the Hotel, Village and Ash Hell. However those gripes aside, it's a very well run and impressive attraction and I'll definitely be back. For those that didnt get chance to meet my alter ego for this year. The Dark Reverend Bloodhusk ..heres some pics of me and my loyal followers.